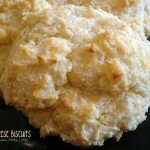 Red Lobster Cheddar Bay Biscuits (+ Video) - Dessert Now, Dinner Later! 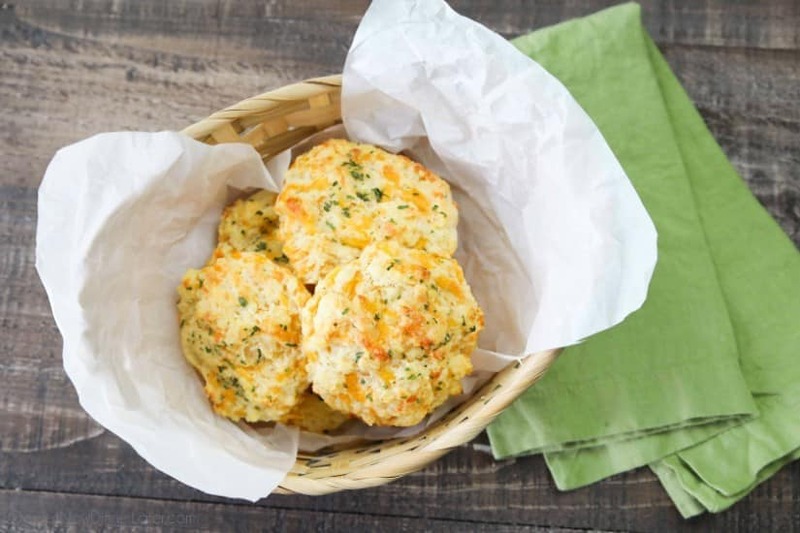 This copycat Red Lobster Cheddar Bay Biscuits recipe is super delicious! Crisp edges, a fluffy biscuit center, with plenty of cheese, garlic, and extra butter slathered on top. 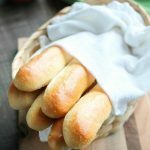 You won’t be able to eat just one! 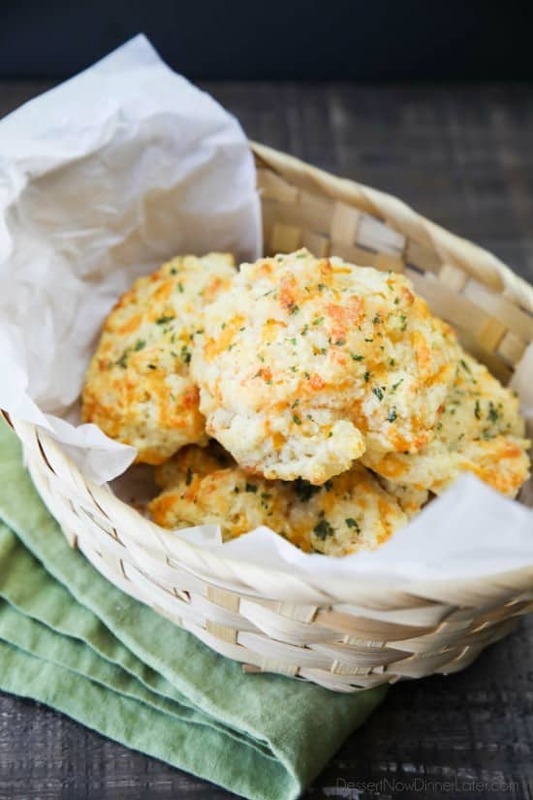 The only thing that convinces me to go to Red Lobster, are the Cheddar Bay Biscuits. I could eat my weight in those biscuits! And thankfully, there’s always soup, salad, or chicken on the menu for me too. 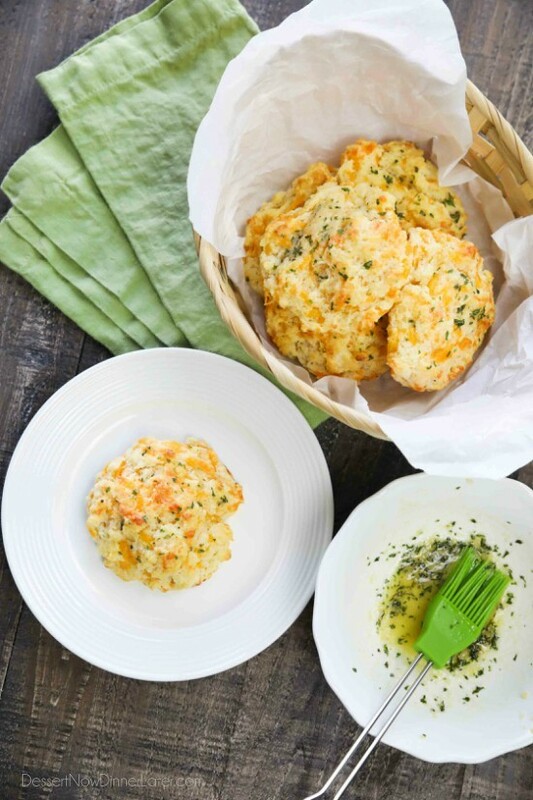 I wanted to share our favorite recipe for homemade Red Lobster Cheddar Bay Biscuits with you all today, because they’re dang close to spot on, and so EASY to make! 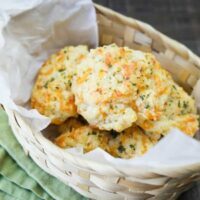 This recipe makes 6 (large) biscuits, but you can easily double it because they’re super addicting! 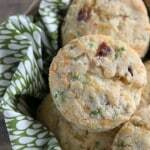 These biscuits go great with most dinners and soup! The perfect fall recipe! 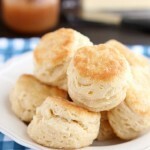 FOR BISCUITS: Combine flour, sugar, baking powder, salt, and garlic powder in a bowl. Whisk together. Using a pastry blender, cut butter into fine crumbs. Add the shredded cheddar and stir. Add the buttermilk and mix until dough comes together in a ball and everything is wet. Use a large spoon to drop balls of biscuit dough onto a parchment lined baking sheet. Bake at 400 degrees Fahrenheit for 15 to 20 minutes or until lightly brown on top. FOR BUTTER TOPPING: Melt butter in the microwave. Add the garlic powder, salt, and parsley. 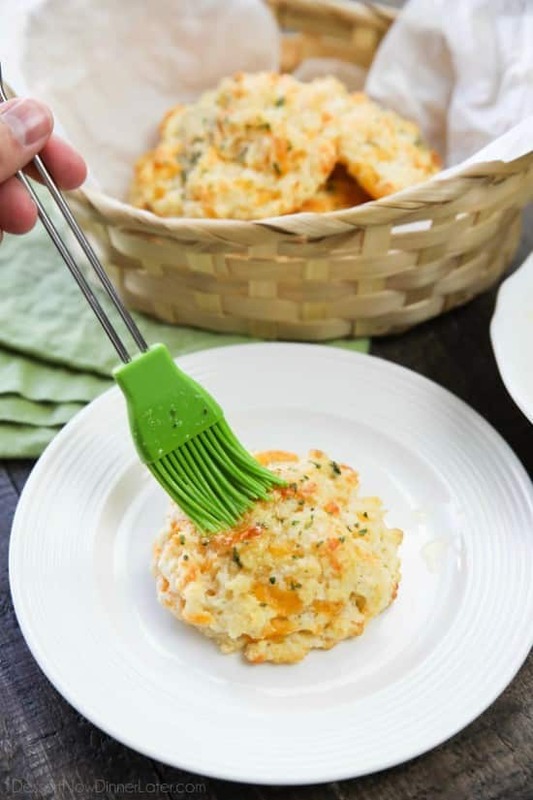 Mix and brush over the tops of the baked biscuits. Enjoy warm. *Lightly altered from my Garlic Cheese Biscuits recipe.